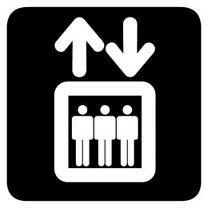 Mediafootprint » What is Your Elevator Speech? In the span of an elevator ride or approximately thirty seconds, what would you say to make an impression for a future venture capitalist, a donor, a customer or client? An elevator speech or pitch is becoming increasing important simply because it is an effective method to reach out to potential new buyers, donors and clients with a simple winning message. A well-crafted elevator speech is a skill that every businessperson needs. Folks in sales have been using the elevator pitch technique for many years. It has now expanded to business owners, brand ambassadors and even politicians. Whether you want to sell an idea, promote your business or market yourself as an individual, a carefully formulated elevator speech is an important opportunity to seize the moment. There are several key elements that need to be in the elevator speech. Who you are, what do you offer, what are the benefits, what makes your unique to your competitors, how do you do it and finally a call for action. First, outline your thoughts and use bullet points for these elements. You should think about your target audience. You will more likely succeed if you clearly target at the individuals you are speaking to. Secondly, edit the jargon and create short, strong and powerful sentences. You should try and eliminate as many unnecessary words and keep it short, concise and focused. Create transitions so the script flows naturally. Third, practice makes perfect. Memorize the key points and practice, practice and practice more. If you have video capacity, record yourself and play it back. If you don’t, use your bathroom mirror. If you decide to create several versions of the elevator speech for other business situations, always remember WIIFM from their viewpoint. WIIFM is an acronym for “What’s In It For Me?” If your goal is to gain new clients or customers, build new professional and personal partnerships or just increase your influence, what is in it for them? The goal of a well-crafted elevator speech will give you that one opportunity to make a good first impression. It is as important as having a business card with your contact information. You can have the most cutting edge web site and marketing collaterals, but an elevator speech can drive business to your doorstep.